Full of misdirection and unexpected scares you may look away but won’t escape being distracted! There’s no way to prepare for this intense fear experience. Find a friend, gather a group and be sure to have someone to hold onto! An intense haunted house loaded with dark creatures and unexpected scares from every direction. All new with more unbelievable scares you won’t find anywhere else come see 2018’s most feared Halloween event! Open Friday and Saturday nights only. Recommended for ages 13+. Don’t wait! With this Fast Pass admission ticket you get quick entry at the front of the general admission line! 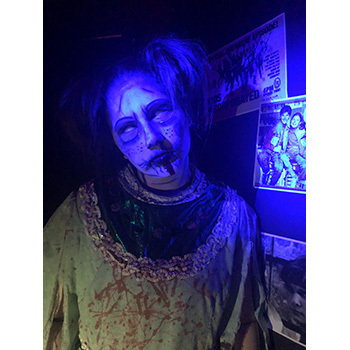 The 4,500 square foot haunted house is a labyrinth of halls and dark corners that according to organizers takes visitors beyond their comfort zone. 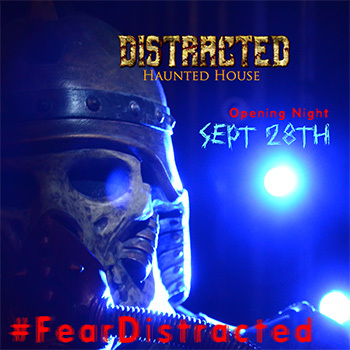 Distracted features a professional haunt filled with high tech props and terror with live actors and special effects. 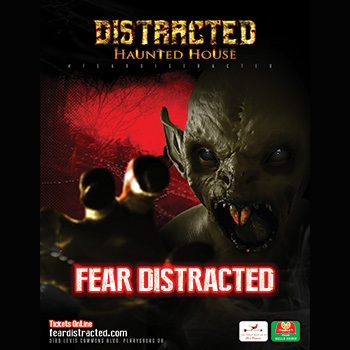 : $30 Fast Pass Admission @ Distracted Haunted House OR Departed Dark Haunt for $15. Ticket good for one quick entry at the front of the general admission line into: Distracted Haunted House (Fri or Sat) OR Departed Dark Haunt (Sun only). Valid any night we are open on Fri - Sun from September 28th - November 4th 2018.